Cables just flat out irritate me. They tangle into an impossible cats cradle, they break for no reason, and worst of all, they limit how far you can go from an audio source, music should go with you everywhere goddammit. My closet is a hodgepodge of cables and all of the disappoint that comes with them. Any pair of headphones I have owned have come to the same tragic fate of breaking. Hundreds of dollars and a very slowly learned lesson later I have come to the conclusion that bluetooth is the answer. Any audiophile could ramble for hours about the importance of deoxidised cables and what have you; but some of us don’t have the time nor patience to embark on such a tumultuous investment. If I had my way all of my audio devices would be wireless, though as quixotic of a notion that may be, almost every developer in the consumer audio industry has come to integrate bluetooth technology within most available products in the market. With a boom of mini portable speakers that come with bluetooth connectivity, wireless is coming into vogue. 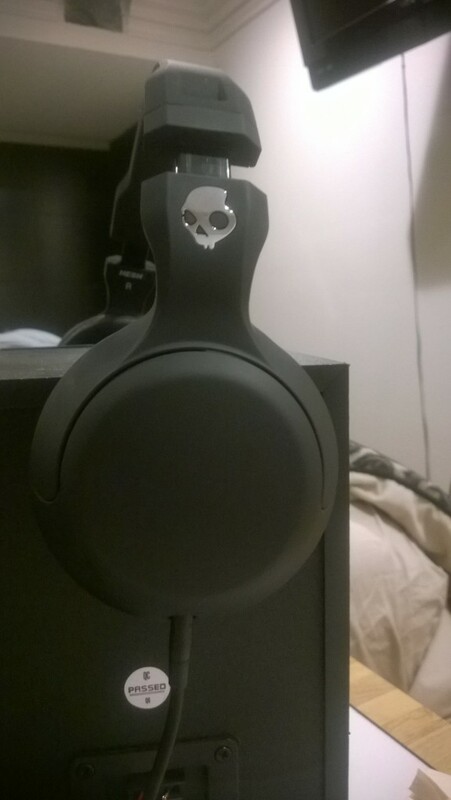 Skullcandy has made their Hesh over the ear headphones wireless, and I am already excited. 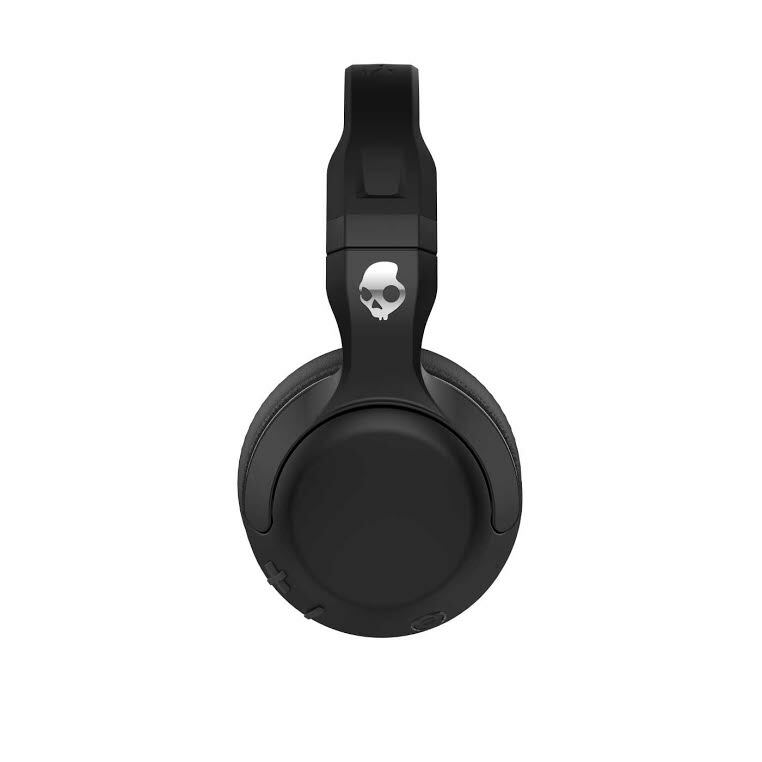 Skullcandy has been making great quality listening ware for the past 12 years that is affordable for consumers who would get tawdry headphones from rapacious competitors at the same prices Skullcandy tends to retail at. 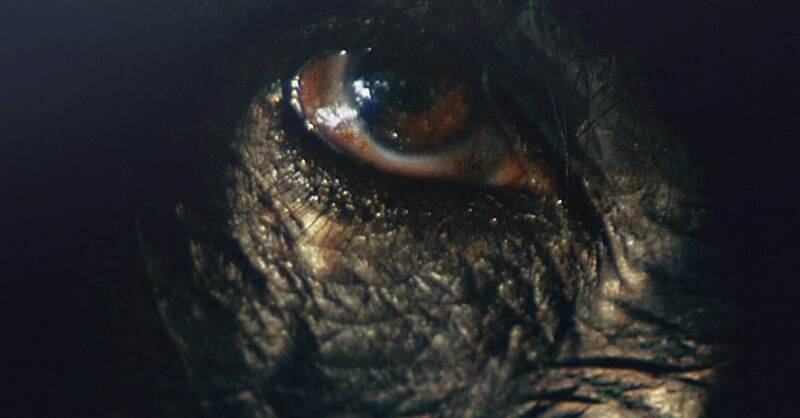 Years ago, in my low end worshipping days, the Skullcrusher over the ear headphones were a favorite for any Dubstep listening I did, the insane rumble that could be toggled in intensity made any Excision “Shambhala” mix ten times more sonically devastating. After many forays into different genus of headphones from different companies, it feels good to go back to Skullcandy and their promising Hesh 2 Wireless headphones. At first looks the Hesh 2, a continuation of their iconic over the ear headphones, is a breath of fresh air for me because they capture everything I could want in headphones: they are comfortable with plush leather cushions on each speaker, they have incredible sound that meets all of the range without loss of quality, they’re sleek and have a very minimal aesthetic, and most of all, they’re freaking wireless! After opening the box there was a solid five minutes of me trying to figure out how to connect the phones to bluetooth to my phone, after the victorious resolution of pushing the power button, it connected flawlessly to both my phone and computer. 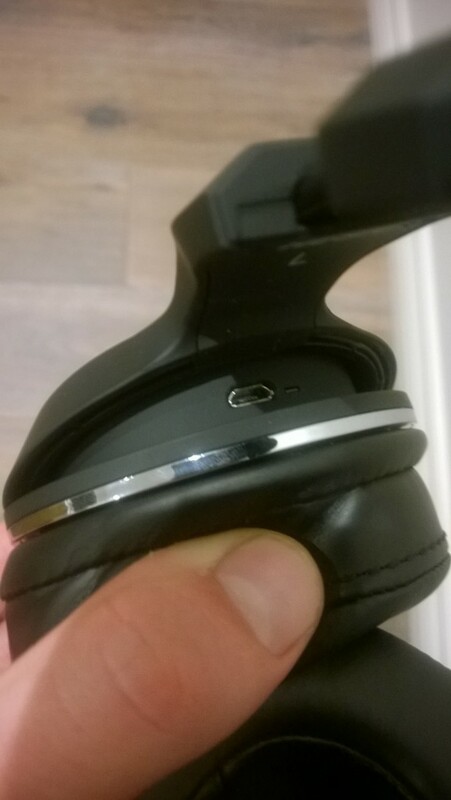 For a music nerd like myself, I tend to have headphones on for rigorous, long sessions of listening, luckily the Hesh 2 have a 15 hour battery life, being wireless headphones it is nice to see that they do not require any obsolete AA batteries, moreover, they have a mini usb port in the left headphone for charging. Which is awesome, as a non-iPhone user, that means basically anyone with a smartphone can use their micro usb charger for their Hesh 2! In terms of sound, the Hesh 2 wireless is irreproachable, any hesitance I had to bluetooth audio listening had been quelled when I turned them on. There is no latency or miscommunication between headphones and audio source and with an impressive range of signal I could be almost 20 feet away and my clamorous EDM stays very much clamorous. Skullcandy’s trademark Supreme Sound technology makes these headphones a powerhouse in terms of sound experience, they capture the thumps of a booming kick drums and bass lines of house music without distortion and they retain all of the minor nuances of an acoustic folk song without any variation of harmony missed. It’s nice to see the sonic range function unblemished in all three aspects of high, mid and low,when past SK headphones like the Skullcrushers of have gravitated more towards low end and drowned all other melodic elements, the Hesh 2 commingles all the strengths that listeners of any genre could want in their headphones. With Bluetooth functionality this means the Hesh 2 can act as an extension of your cellphone. You can accept or deny calls with just a touch of the power button, the “+” and “-” buttons can transmute the volume with ease or they can be use to shuffle between tunes. If I was laying in bed before sleep and I wanted to skip the banger for a soothing tune to help me go to sleep easier I could just skip on with the “+” button. Though this not unique technology for their headphones it’s my first time and I have been really enjoying. If you drain the battery on hours of Skrillex listening, the headphones will notify you when the battery is nearing ten percent. So you don’t miss a moment of bass drops! If the bluetooth wizardry is too much for you, they also come with a backup cable so you can have a wired listening experiences, but after playing around with the bluetooth capabilities, who would want to go to the wire? Overall these headphones aren’t exactly new, more or a less a new take on something that Skullcandy has already succeeded at. The Hesh 2 have made my reverie of a wireless utopia a little more feasible: they are tactile focused, comfortable and incredibly powerful. With a retail price of $99, these headphones are a steal in terms what you can get at this price range. I will champion over the ear headphones because direct in earbuds are incredibly detrimental for your hearing, but I’m not your mother, listen at your own discretion. And if you have any sense to go the over the ear route, the Hesh 2 wireless are a must for any casual or ardent music listener. 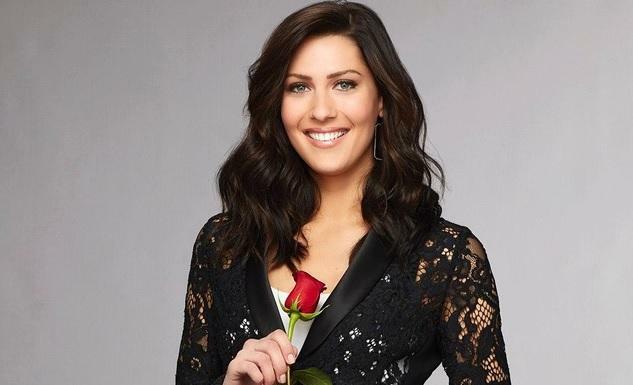 Who was sent home on The Bachelorette tonight after hometown dates?